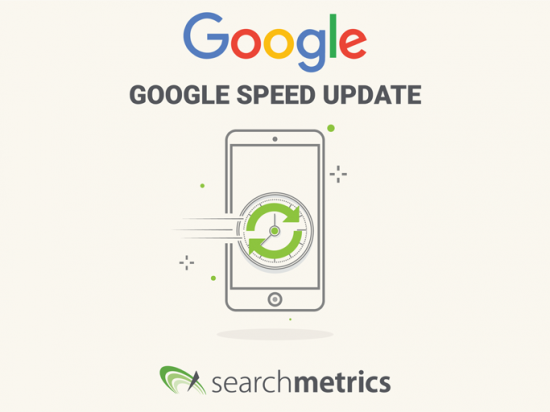 Google Speed Update: Are your website’s mobile rankings under threat? Google is getting fast and furious since 9th of July: Your future may depend on how fast your URLs load on mobile devices, now that the process is one of the company’s ranking factors. This means that pages that load slowly on mobile devices can expect to lose mobile rankings to websites that load more quickly, and therefore offer a superior user experience. Read on for all the background, insights into the load times of pages ranking on Google.com and, as a further bonus, some data on the usage of AMP for lightning-quick pages. Google rarely announces an update to its search algorithm ahead of rolling it out. In mobile search, though, Google tends to be a bit more open. For instance, it gave people plenty of time to get ready for its so-called Mobilegeddon Update, which meant websites had to be mobile-friendly to attain top rankings. In January, Google announced that beginning in July, its search algorithm would include the load time of mobile URLs. As with “Mobilegeddon” (foreboding moniker that delivered little of the turbulence people expected to their rankings) and the announcement of the Mobile-First Index, Google’s forewarning appears aimed more at getting people to make the web more mobile-friendly than penalizing scofflaws. Of course, load time is already part of Google’s calculations, and was confirmed to be a ranking signal in 2010. But that news referred primarily to desktop site speed and the calculation of desktop rankings. Discussing the “Speed Update”, Google is emphasizing that it should only impact a small section of search queries, and says it should only (negatively) impact the slowest pages. Of course, load time remains “only” one of several hundred ranking factors that Google uses to create its rankings. Put simply, a slow page can still achieve high rankings if its content is more relevant than that of its competition, and if it is best placed to satisfy the user intent, as this is what Google considers most important when compiling its search results. 53% of mobile users leave a page that takes longer than 3 seconds to load. The average load time for a website on a mobile device is 15 seconds. That’s 7 seconds faster than in 2017. 70% of websites take more than 5 seconds to display all visual content above the fold. 53% of mobile URLs are larger than 2 MB. Most mobile pages are loaded over 3G or 4G connections. Searchmetrics Analysis I: How fast do pages load? The following table shows how quickly – or how slowly – websites that occupy the top positions in the Google.com rankings load. As well as the benchmark average given in the right-hand column, we have broken the results down by industry. Here, we have continued the approach followed in our previous studies, Industry Ranking Factors and Universal Search for Industries. This clearly demonstrates that mobile pages that rank on positions 1 to 5 load more quickly than those that rank 6th to 15th. The benchmark value for top 5 pages is 2.5s, faster than the 3-second mark Google says leads to increases in bounce rate. The averages for positions 6 to 10 and 11 to 15 are 2.8s and 2.9s, indicating that many pages on these positions do take more than 3 seconds to load. Comparing industries, we see that top-ranking landing pages in the health industry are the fastest, followed by travel and finance pages. 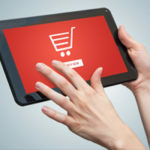 In media and eCommerce, pages ranking 6 to 15 take longer than three seconds to load. With the Google Speed Update, slow-loading URLs, particularly those on positions 6-15, should be bracing themselves for possible ranking drops. Searchmetrics Analysis II: How much is AMP used in the Google search results? 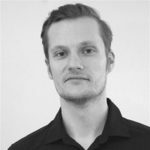 As a second part of its analysis, Searchmetrics also looked at the usage of Accelerated Mobile Pages (AMP) in the mobile search results on Google.com. In the past, the quick, reduced framework was only used by publishers, but now more and more websites from all industries are implementing pages built using AMP. At least one AMP integration appears on the first search results page for 61% of all analyzed keywords. 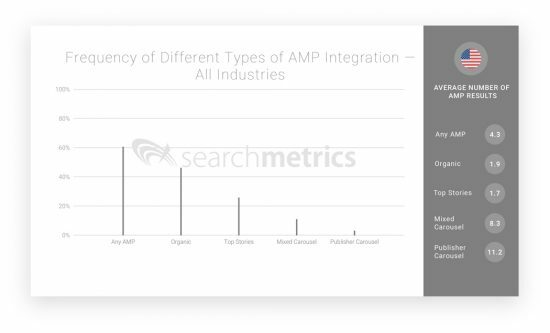 The most common type of AMP integration is organic, i.e. classic search results with an AMP lightning bolt. The next most common kind of AMP is ‘Top Stories’; these AMP-based news results appear for 26% of keywords. 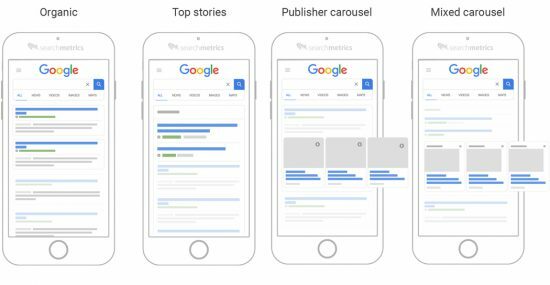 A mixed news carousel appears for 11% of keywords and 4% of searches return AMP publisher carousels. 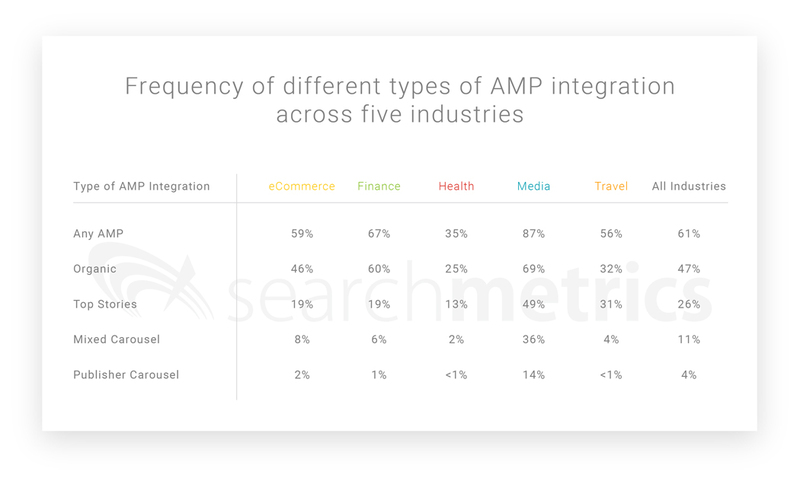 The comparison of AMP across different industries reveals some interesting results. 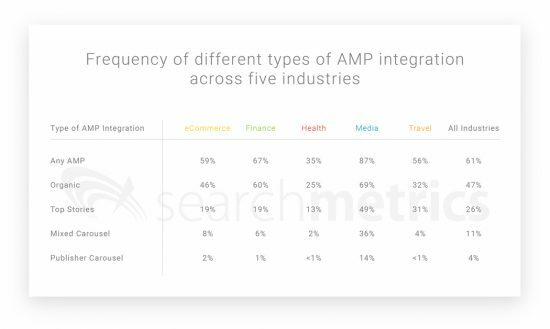 AMP results are most common for media searches (87% of keywords), but more than half of first search results pages in eCommerce, finance and travel also include at least one AMP result. 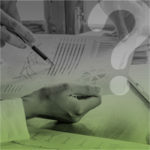 Health industry websites show the least uptake of the AMP framework, with the rate standing at just 35% of keywords. With its Speed Update, Google is again showing the importance it places on the mobile web, and, in particular, the emphasis it places on user experience. 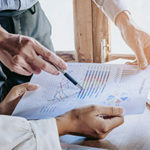 Introducing mobile load time as an official ranking factor follows in the footsteps of the “Mobilegeddon” Update as another way of encouraging the mobile web’s development. This encouragement effectively forces webmasters to optimize the mobile versions of their pages if they want to rank near the top of the search results. 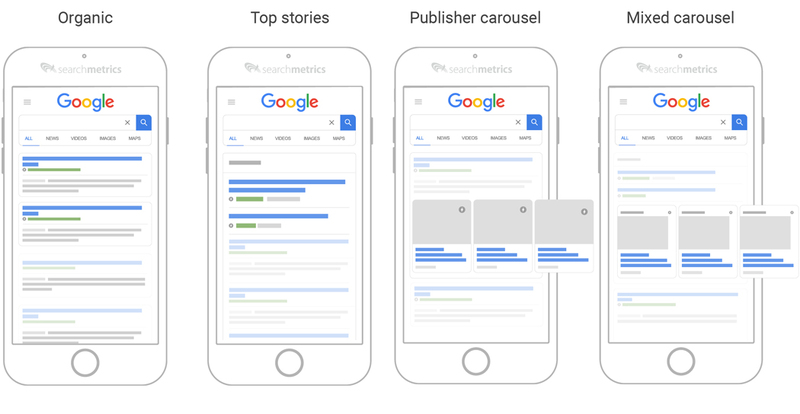 Google ideally wants to see top-ranking mobile pages loading in no more than three seconds, even over slower internet connections. 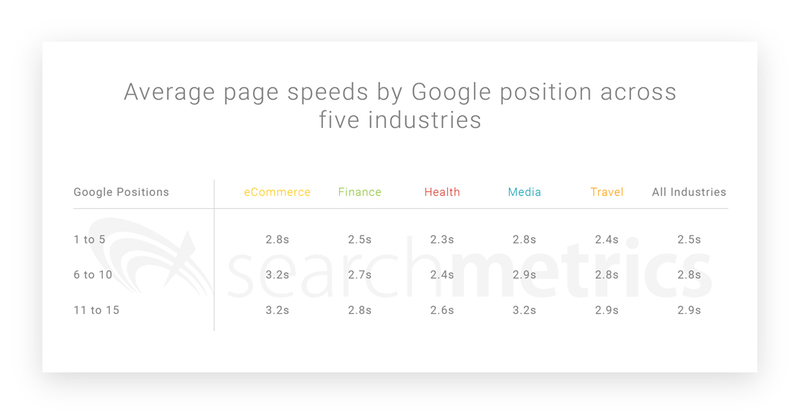 Our Searchmetrics analysis shows that, on average, pages ranking on the top 15 positions do load this quickly, with the competition particularly fierce amongst the top 5. If the average is just about fast enough, this means many pages are still off the pace. In general, webmasters should be able to profit from the Google Speed Update if they currently rank on positions 6 to 10 and have a page that loads faster than the competition – this could help them overtake slower-loading URLs above them – provided, of course, that they offer the most relevant content serving the user intent. Thinking it’s helpful for testing.